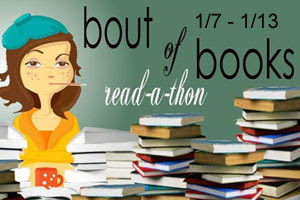 Bout of Books is a week long read-a-thon, run from 12:01am on Monday, January 7th and runs through Sunday, January 13th in whatever time zone you are in. And see the mini-challenge schedule HERE. As I will be once again working all week my reading time will be limited, I'm planning to read on the way to and from work on the commute. Turn to page 48 of your current book, or 48% if you're using an e-reader. Now you're going to continue the story! Ignoring the real plot or anything else you know about that book, add four new sentences of your very own. You can morph the plot completely, kill everybody off or go off on a huge tangent - anything goes! 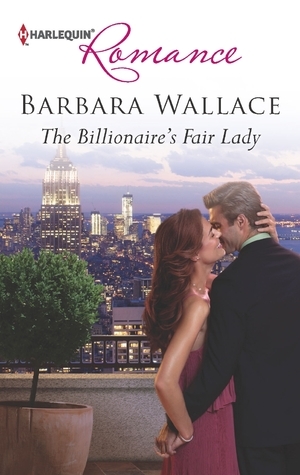 I'm reading The Billionaire's Fair Lady by Barbara Wallace right now, so here is the first sentence at 48%: "I know." "I know." She said and sighed. Knowledge was truly what had started everything. If her mother had died without uttering those four simple words, which since have completely turned her life upside down: "You have his eyes", she never would have known. But whose eyes? She never knew him. Never even heard of him. And yet, after 28 years her mother just told her that she had his eyes. Her father's eyes. Who was not the man who brought her up and whom she loved like her dad. 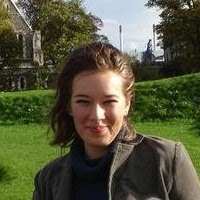 No, her father was a stranger, but one she was determined to learn more about. So, WHO are your favourite vampires? And WHY?? I want everyone to name one guy vamp and one lady vamp (and the books/series they are from, just so everyone knows), and explain why they have a place in your heart as your super most favourite vampires everrr. What is your Book Crack? What can you NOT SAY NO to? What bookish things make you blissful? You know when in a book an author painstakingly describes what a character is wearing? Not only is this usually quite annoying, it gets even worse if the character’s fashion sense makes you want to smack your head against your wall. What if you could dictate what the character was wearing? What would you put on them – something ridiculous, or something that would make them look wonderful? Gwen Frost, the heroine of Jennifer Estep's YA urban fantasy series, Mythos Academy series is described as always wearing jeans and hoodie sweatshirts, I don't mind her sporty style, but she never dresses up or changes her wardrobe, not even for Halloween! Once again I realized that I was way too optimistic or even a bit unrealistic when aiming to read 5 books during a week where I was working 5 days full-time and spending 1 day (Sunday) at a training until the afternoon. Aiming for only 3 books would have been much more feasible and realistic. Hopefully next time I'll do better.